Oliver is a photographer specialising in interiors, architecture, people and food. I am a professional Interiors and Lifestyle Photographer. I work with Interior Designers and Architects and freelance with all the major Interior Magazines and Weekend newspapers. Jason offers a genuine creative style with his photography of interiors, gardens, architecture, lifestyle and editorial. He also has a Large Format Canon Printer to create magnificent (prints larger than A0) for your promotional requirements beyond the web. Jason has over 20 years of experience in stills photography and film. 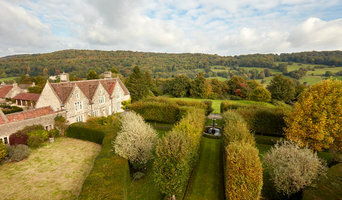 Recently he has been working with Woodhouse&Law who create luxurious interiors and gardens. A remarkable endorsement of his photography is available to view on their website. He is looking to build his portfolio of clients in the South West of England and beyond. Hello Houzz, I’m Chloe. A Bristol based photographer who creates beautiful photographic narratives of interiors and products to help show off your hard work in the best possible way. I have a background in fine art and design, both of which influence the way I shoot with an excellent eye for detail and the ability to find the creative possibility in every situation. I’m always looking for new collaborations and would love to help you capture what you do best. 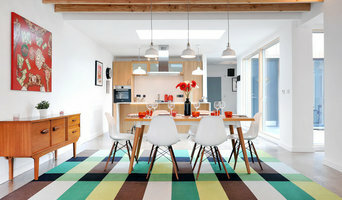 I am an Architectural & interiors Photographer based in Bristol and have worked throughout the UK. I photograph for Clients & Designers who understand the importance of showcasing their designs through professional and inspiring images. I have a Masters in Architecture qualification and my main interests has always been in the visual representation of the Architecture and Design. This this is where my joy for Photography began. I believe that my experience and creative background in Architecture enables me to understand and succesfully interpret the core ideas / concepts envisioned by the designer. If you are interested in commissioning me for your project I would be delighted to discuss with you my process and get an understanding of your requirements so I can provide you with a fee estimate. Allan has worked in the creative industry all his working life, starting in music, theatre and education and progressing to marketing and media creation including design, print and video work. Creative photography has always been Allan's passion, and his business photography in Somerset and the UK reflects his creative side, complemented by his technical background. Brett Charles is a photographer specialising in creative interiors, lifestyle and design photography. Based in Bristol and working through the UK, Brett has quickly established himself as a frequent contributor to many of the UK's leading interiors magazines. In addition, Brett continues to working with a number of private and commercial clients. 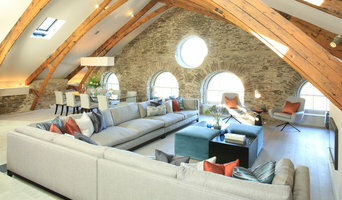 I am a professional interiors and architectural photographer, based in Bristol but working throughout the UK and abroad. My photographic style leans towards to simple, uncluttered images with an emphasis on the use of natural light. I think it's important for people to be able to connect with what they see, especially if they are about to invest in a similar product and natural light photography best achieves this. I am an interiors photographer and have worked with editorial and commercial clients for 20 years or more. I shoot for interior designers, architects, furniture makers, kitchen designers and Hotels. I have a lot of experience, I am quick and careful, my work is clean and contemporary and I'm friendly. Take a look at my webiste, and if you are interested, I can send you a printed portfolio book with my recent work. Taking photos of nice things and nice people for over 15 years. Why should I hire a professional interior photographer in Bristol instead of leaving it to the estate agents or letting agents, or taking the photos myself? A professional interior photographer in Bristol will be able to evaluate the key selling points of your home and present those in a way that is truthful yet instantly appealing to viewers. Those images should be unique to your property, capture its feel and hint at its true potential. If you live in a top-floor studio, for example, the focus should be on natural light, views, detail and clever use of space. However, those living in a rural cottage should make sure that the cosiness of the fireplace lounge, the characterful range cooker kitchen and an abundance of outdoor space are shown off. Obviously, most estate agents and letting agents organise property photography themselves but some either don’t use the right equipment or they rush through the job. Let’s be honest, photography is not a core part of their skill set. If you are selling your home through an estate agent, you can expect to hand over at least 1.5% of the agreed price. Surely that should pay for a carefully considered and highly appealing set of photos? Not necessarily. And that's not all. Unless you live in a property hotspot, it’s a buyer’s market out there; fiercely competitive. Why not stand out from the crowd? For the right reasons. You will be amazed by what a professional Bristol interior or architectural photographer can do, given the time and a few extra pounds. And let’s not forget post-production and retouching. Some Bristol interior and architectural photographers will spend three times as long editing as they will shooting. If you have ever tried to use photo editing software such as Adobe Photoshop, you will understand why. That expertise and attention to detail is what you are paying for. And it might just pay back, with interest. Where can I find the best professional interior photographers and architectural photographers in Bristol, and what should I be looking for? 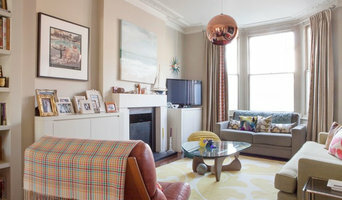 The best place to start is Houzz. Search for Bristol photographers in the Find a Pro section and then start to fill your Ideabooks with your favourite photos. Think about whether you need a professional with particular expertise – interior photographer, architectural photographer, landscape photographer – or an all-rounder. 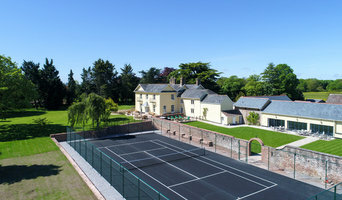 We also have professionals that specialise in 360-degree photography, if necessary. Some Bristol architectural photographers are more experienced in shooting certain types of property such as contemporary apartments or coastal retreats. You can find them by browsing the Photos section and working through the relevant style category. Carefully look through each portfolio, try to imagine who might best bring to life your home and then contact a shortlist of three. Although not essential, if he or she is a member of the Master Photographers Association (MPA) or the Association of Photographers (AOP) that might imply that they more seasoned and trustworthy. Find an interior photographer on Houzz. Narrow your search in the Professionals section of the website to Bristol photographers. You may also look through Bristol photos to find examples of photography that you like, then contact the interior photographer who worked on them.